On this voyage of exploration, we’ll be visiting four Australian Marine Parks: Huon, Tasman Fracture, Freycinet and Flinders. As we survey our first, Huon Marine Park, it’s probably time to take a look at what these parks actually are and what they do. Australian Marine Parks protect our Commonwealth marine environment and play a vital role in ensuring we have healthy and productive oceans into the future. The four marine parks being visited on this voyage are just a fraction of the 58 parks that surround our continent. Although many of us intuitively understand what marine parks do – protect marine life – and may be familiar with coastal sites, few realise the extent to which our offshore waters (starting 5.5 km from the coast) are protected. Encompassing 2.8 million km2 and grouped into six management networks, Australian Marine Parks reflect the incredible marine diversity found in Australian waters, from the spectacular tropical coral reefs of the north to the deep cold-water coral reefs of the south – and everything in between! Six management plans set out how the parks will be managed to deliver ecological, social and economic benefits for all Australians. Five of these plans were introduced on 1 July 2018 while the sixth, the South-east Network, has been operational since 2007. Extending across from South Australia to southern Victoria (and surrounding Tasmania), this 14-park network protects our wild Southern waters, a place of canyons, seamounts, rocky reefs, criss-crossing currents, howling winds and many, many incredible species. How do marine parks work? Marine species interact, directly and indirectly, over incredible scales (entire oceans!). Migratory species travel from the equator to the poles, animal larvae are transported thousands of kilometres via complex networks of currents and other species decide to mix things up a bit, moving up and down in the water column daily. This inter-connectedness can be a significant challenge in addressing certain pressures. While we build our knowledge of these complex relationships, we know that protecting important habitats and seafloor features like canyons and seamounts have positive impacts that extend beyond boundaries. In a number of studies conducted in different locations around the world, scientists have found significant flow-on benefits from marine parks to the species that occur outside them. On the seamounts we’ve been looking at today, it’s not just the strangely beautiful and colourful corals that are protected but the whole ecosystem: all of the invertebrates and fishes that call these seamounts home and the animals that rely on the productivity of the seamounts for their food. In some cases, even the seafood that ends up on your plate may have eaten its dinner in a marine park! By protecting these important habitats, Australian Marine Parks are supporting the overall diversity and resilience of our oceans. Enough of the facts . . .
During my normal nine-to-five office hours at Parks Australia, I typically look (and think about!) our marine parks as they’re displayed on the maps: flat colourful shapes laid over a generic background blue ocean. But out here on Investigator, watching scientists drop cameras and sampling equipment thousands of metres down to the seamounts and watching the incredible footage beamed back to the ship, the depth and scale of these marine parks becomes very real. It is a sharp reminder of the vital importance of protecting and studying deep-sea environments, not to mention the huge challenges undertaking this type of research presents! 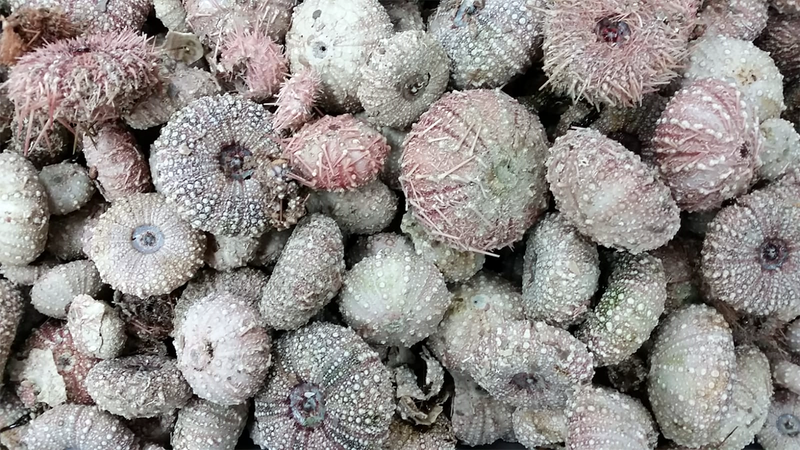 On this voyage, scientists are using a variety of different approaches to explore our offshore environment – from observing and counting the seabirds that swoop around the vessel, to using deep-towed cameras to spy on deep-sea corals, many of which are hundreds of years old and never been seen by a human before. I am looking forward to witnessing the deployment of specially-designed acoustic devices that can actually listen out for aggregations of fish and other reflective animals. I can’t easily imagine what a school of orange roughy sounds like so I’m excited to hear what’s discovered! 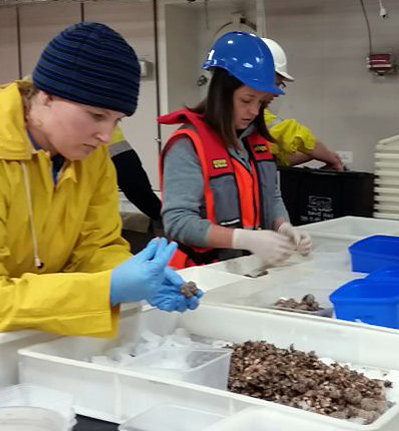 Last night, I helped out the biology processing team, who were busy sorting through the latest catch from the beam trawl which arrived up on deck at about midnight. 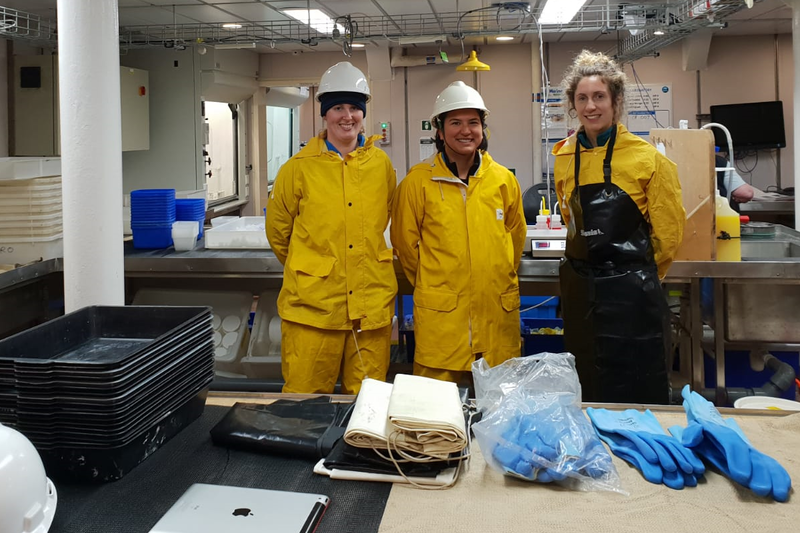 It’s hugely exciting to see firsthand all the amazing animals that live in the deep sea and learn about these species from the taxonomic specialists on board, even if it means a late night up in the lab! Today's focus has been on continuing to deploy the towed camera to complete survey transects of the seamounts. Meanwhile, the seabirds and mammal spotters are enjoying some calmer weather (and sunshine!). I’ve been taking the opportunity to spend some time with them and learn more about their recent wildlife observations. It’s an amazing sight to see so many albatross and petrels feeding in this productive area of the ocean. 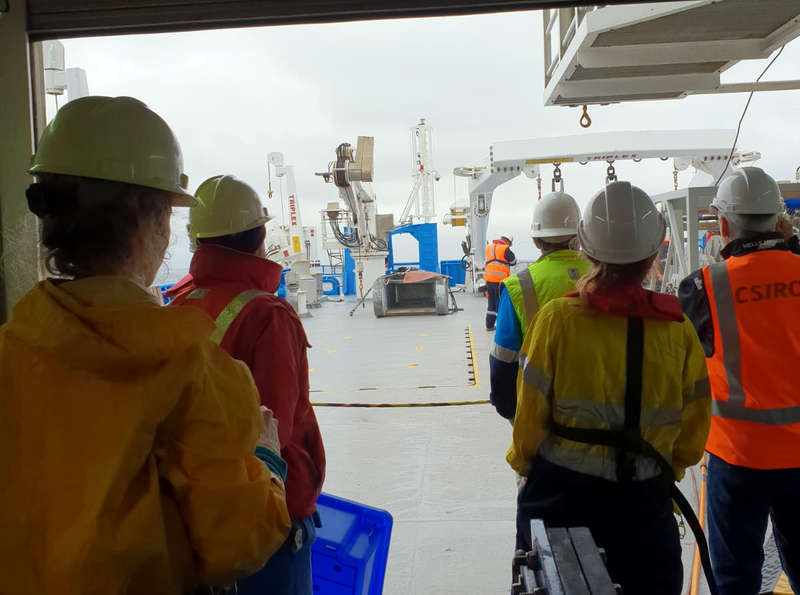 This voyage presents a particularly exciting opportunity to take a closer look at what impacts management is having down in this part of the Southern Ocean. Science is key to good park management – both in shaping our initial actions and deciding how these measures may need to be adjusted. 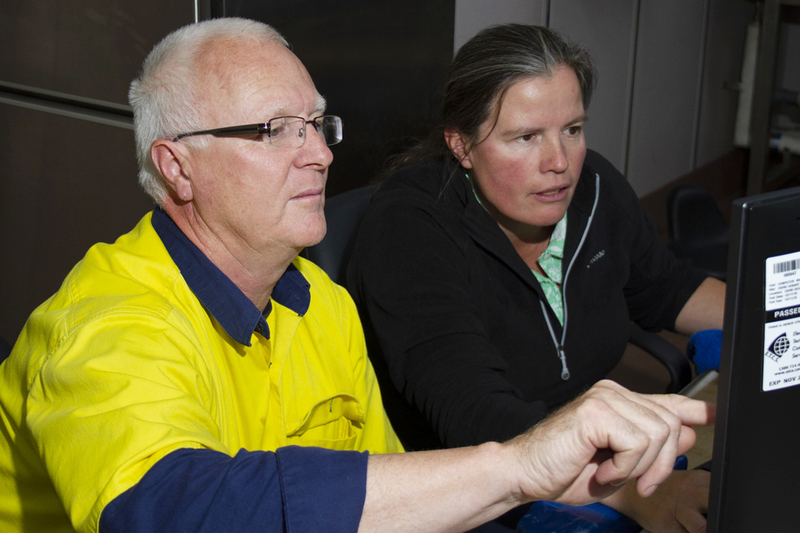 For Parks Australia, partnerships with science providers such as CSIRO and the National Environmental Science Program are critical and I’ve been thoroughly enjoying the opportunity to work alongside my science colleagues to support this project. To find out more about your Australian Marine Parks, visit our website or the new AMP Science Atlas. The day started with replicated video transects down Pedra and Mongrel, the tow on Pedra noticeable for a large school of orange roughy and the tow on Mongrel seamount noticeable for observations of lost fishing gear, such as trawl wire. A target of four replicate transects plus repeating transects which were surveyed 10 years ago on five seamounts with a mixed history of fishing is being used to provide statistical confidence to conclusions on fishing impacts and recovery. There is considerable variation in coral cover between seamounts, even after accounting for depth, and this variation has to be accounted for prior to identifying any more recent changes. We returned to Hill U for two transects where strong currents made manoeuvring the ship to keep the towed camera on track very challenging. With the current from the side and the ship responding differently from the camera 1000 m below, and differently from the almost 2000 m (or 1.5 tonnes) of hardened optic fibre cable between the camera and the ship, we had to abort the first attempt but managed to keep on track for the next two transects, ending with some camera maintenance. Coral thickets were seen at the top of the seamount, more than on Pedra or Mongrel seamounts, not as extensive as those on Z16. On-board scoring of the stereo-images from the towed camera has started, and these stereo pairs will enable quantitative estimates of the abundance and/or cover of the many invertebrate and fish species. 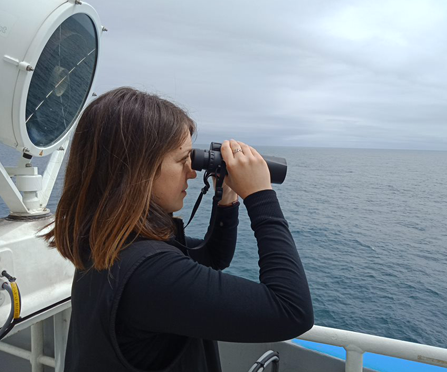 Meanwhile at the top of the ship, the bird observers reached 30 species, or 10 percent of the 300 marine birds known worldwide.